Who does not love Strawberries (apart from people who are allergic of course!) at this time of the year, they are absolutely everywhere, and they taste delish unlike the behemoths you find in shops in mid December that taste of nothing. I even remember having my first strawberry, I was about 10 years of age, mum, my bro and myself were over to Sunday lunch in my aunt's house whilst my dad was over in Holland visiting family (I always think of this episode of the Simpsons when I say my dad is over in Holland). I shuddered at the prospect of eating strawberries as a kid I never liked fruit but that was about to change. Simple as you like strawberries and cream, heavenly I thought and still to this day there isn't a better combination as a dessert. So when I got home to Limerick on Friday I saw a punnet of strawberries in the fridge and knew I would be using them for dessert on Sunday. What I decided to make today was what I had got going on in my head, sugar pastry base, lined with white chocolate, pastry cream, strawberry gel, strawberries and a final layer of strawberry gel, voila Summer Strawberry Tart. 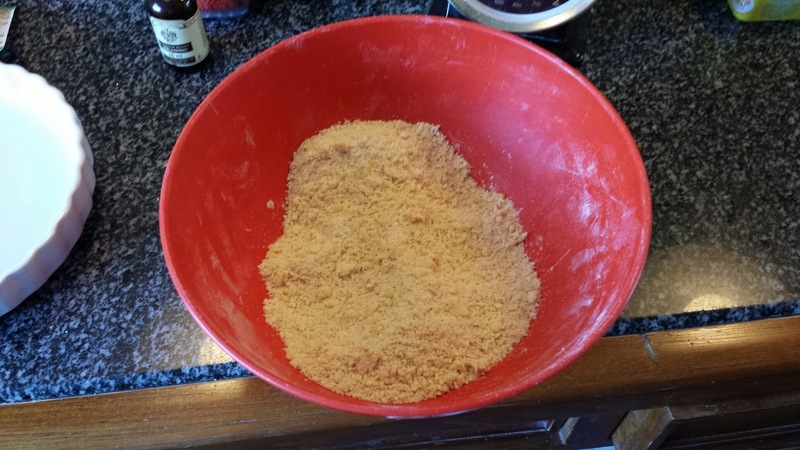 1) Rub the butter in to the flour with the salt added until it resembles breadcrumbs. 2) Now add the sugar and make a well in the centre adding a lightly whisked egg, when it comes together, place in to the fridge for about an hour to firm up. 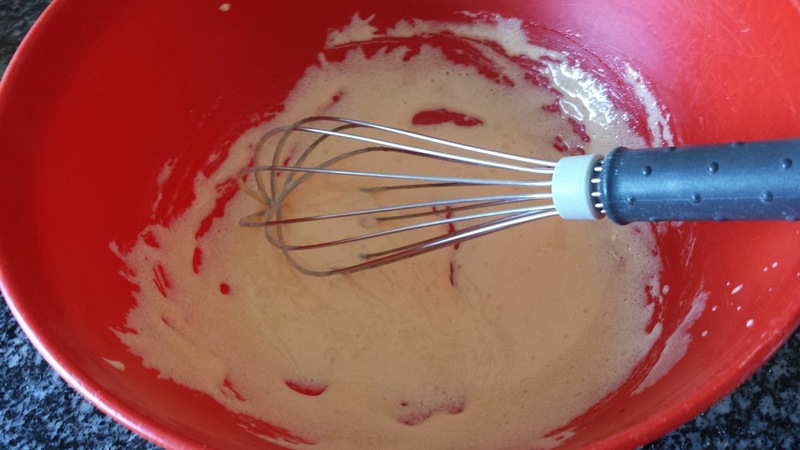 In a bowl whisk together the eggs and sugar until they turn a pale in colour. Whisk in the flour and cornflour and set aside. Place the milk and vanilla extract in a saucepan, bring to a gentle simmer, stirring frequently. Remove the pan from the heat and let cool for 30 seconds. 1) Pre heat your oven to 180c, grease and flour a loose bottomed 10 inch tart tin. 2) Take the pastry out of the fridge and roll out to the size of the tart tin making sure to roll as thin as possible on a floured surface. 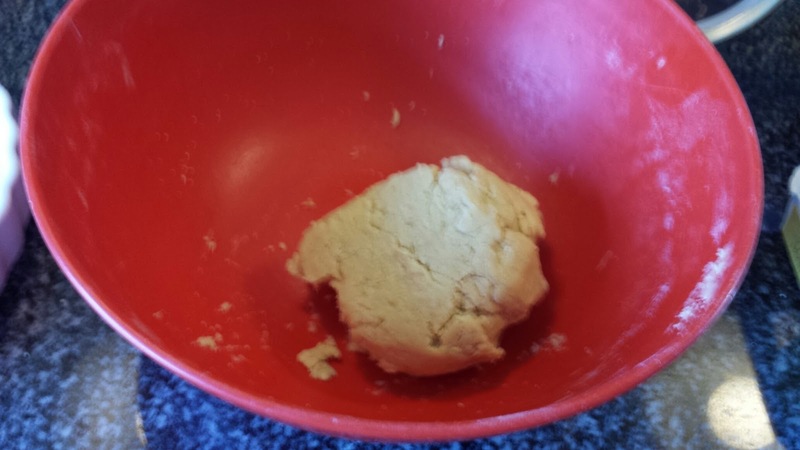 Once rolled place the pastry in the tin allowing for overlap on the sides. We allow this overlap to prevent shrinkage. We now need to blind bake the pastry, prick the base with a fork all over and line the inside of the tart with some greased baking parchment filling with either baking beans or rice. 3) Bake the tart blind for 15 mins. 4) Remove the tart from the oven, removing the rice. 5) Place the tart shell back into the oven and bake for 25 mins more until golden brown. 6) Remove the tart shell finally from the oven allow to cool. Once cooled release from the tin. 7) Melt the chocolate in a microwave for 1 min. Once melted paste all over the bottom of the tart tin. Allow to chill in the fridge for 20 mins. 8) Spread the pastry cream all over the base of the tart and place back in the fridge while you make your gel. 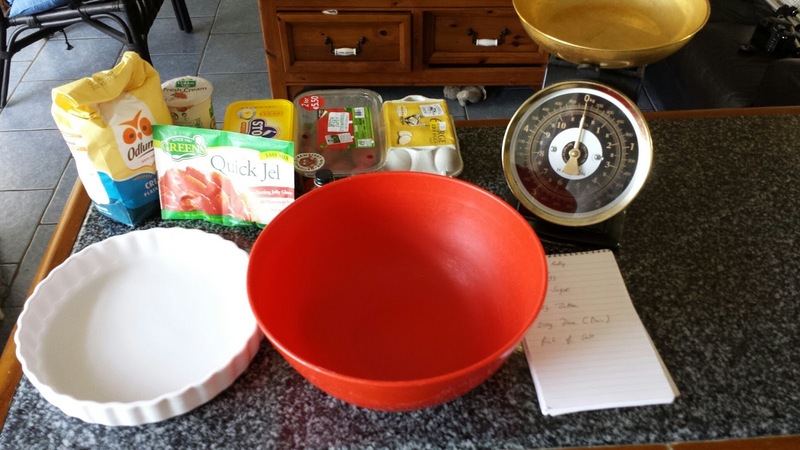 9) Following the instructions of the gel on the first packet, boil 200ml of water with the gelatine until it reaches the boil and simmer for 1 minute. Cool the gel for 10 minutes. 10) Pour the cooled gel in to the tart shell over the pastry cream, chilling again for 15 minutes. 11) Wash and remove the bottom of your strawberries. 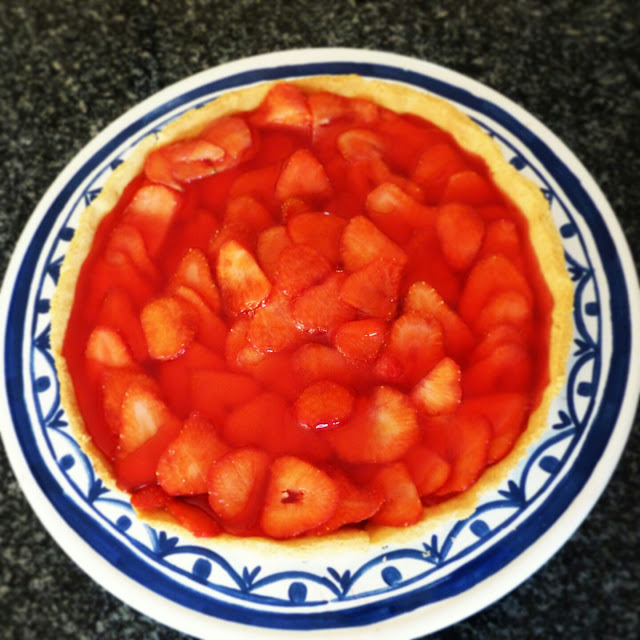 Slice thinly and decorate the top of your tart. 12) Repeat step 9 again with your second packet of gel. 13) Pour the cooled gel over the strawberries and allow to set again for 15 minutes. 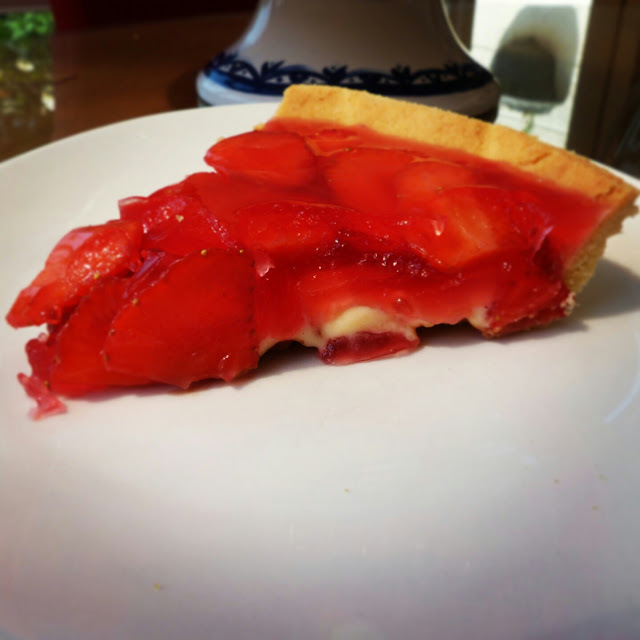 Serve and enjoy this summery tart! Thanks for reading my recipe.